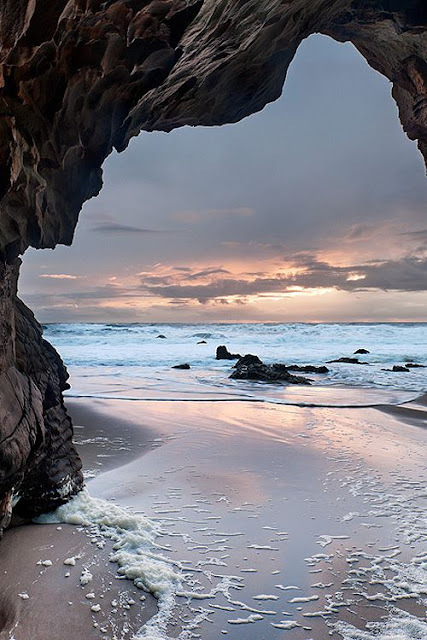 It lies along the coast of the Pacific Ocean, situated about 9 miles north of the town of Santa Cruz, on Highway One. Originally on the banks of San Vicente Creek, the town expanded to the north during the twentieth century. The town is presently noted for the spectacular cliffs and bluffs above the Pacific, beaches in between cliffs, surfing opportunities, the cement plant run by Cemex, and the former headquarters of Odwalla, a company that makes fruit juices.